To children, the lure of coffee has always been one of the great adult mysteries: How could it be that the strong, bitter taste never justified all the begging and pleading required to get a sip from Mom's cup. To Armenian kids, an even greater mystery was the other coffee (the one that everyone we knew called Turkish coffee) served in those dainty little cups. Even more than the coffee itself, we were both fascinated by the little paper-like balls of cardamom floating in each cup, their exotic perfume rising with the coffee's steam. Usually, they were discarded like used tea bags after imparting their flavor, but Doug remembers his father occasionally chewing cardamom even without coffee. Armenians, he said, believed it was good for digestion. We aren't alone in attributing medicinal benefits to cardamom. It was thought throughout the ancient world to have almost mystical properties. The Roman poet Ovid wrote that the legendary Phoenix "does not live on seeds and herbs, but on drops of incense, and the sap of the cardamom plant." And while praising differing varieties of cardamom from around the world, the Greek botanist and healer Dioscorides recommended cardamom from Armenia. These days, we're happy enough to find cardamom in the supermarket. It is sold in its pod, as seeds, or in ground form. 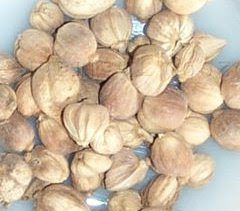 Cardamom’s flavor keeps best in pods; however, the seeds - when freshly ground - are quite robust. If you purchase cardamom in ground form, buy it in small quantities, as it loses its flavor quickly. Cardamom has a unique taste: sweet-spicy, floral and somewhat similar to ginger. It’s more expensive than more common spices like cinnamon and nutmeg, but a little goes a long way. Cardamom works well in baked goods (cookies, cakes), in coffee (even American coffee), in curries, citrus salads, in fall and winter squash recipes, lentil recipes, and with poultry and meat (generally as a rub). Combine ground cardamom, coriander and fennel. Use this as a dry rub on lamb before roasting. 1. Working over a bowl, peel and section the oranges. Save any juice that collects in the bowl; it will be used to prepare a sauce for the fruit. 2. 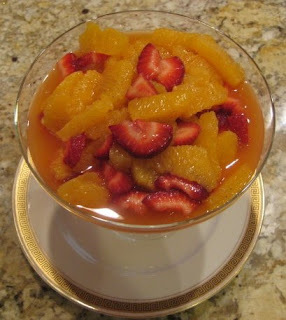 Place the orange segments and sliced strawberries in a serving bowl. Set aside. juice, and cardamom. Bring to a boil, then simmer for 5 minutes. Cool. 4. Pour sauce over the orange-berry mixture. Gently toss to coat fruit with sauce. 5. Chill or serve immediately. Some of the most common ways that people use today is ground cardamom or crushed. Spice has a wonderful strong aroma, but the taste is very pleasant. People around the world use in a variety of dishes, often during holidays and festivals.